IT Works! Conference Day is coming in September • Save the date! 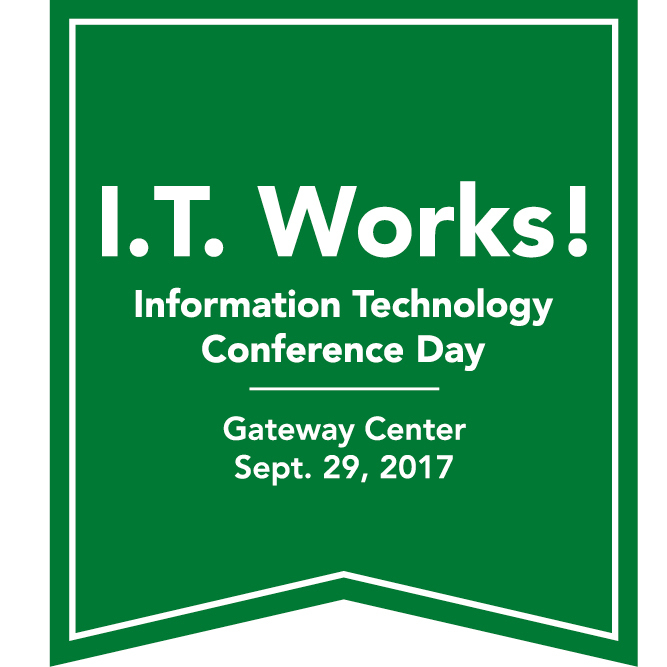 Team members of UNT’s University Information Services and UNT System’s IT Shared Services have begun a collaboration to present a conference called I.T. Works! on Sept. 29, 2017, 8:30 a.m. to 4:30 p.m., to focus on UNT’s state of technology and its future. Read more. Almost 50 years ago, the idea of a computerized interactive assistant was popularized by the movie 2001: A Space Odyssey. 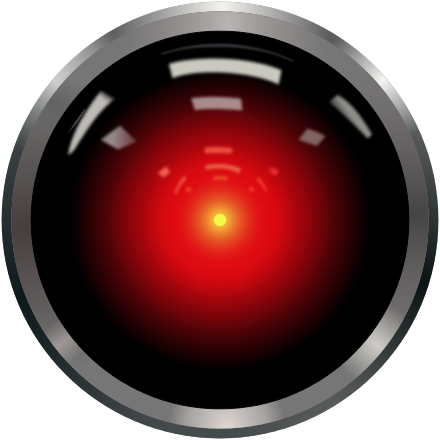 HAL 9000 was a major character in the film and the fact that a computer could expertly recognize speech, interpret language, and play chess was pure science fiction at that time. After all, this was one year before Neil Armstrong took his famous "one small step." Read more. When connecting to Wi-Fi at UNT, you may have noticed a network called eduroam. This network is a global Wi-Fi service enabling researchers, students and staff to obtain secure and fast internet connectivity across campuses and millions of access points across the globe and UNT has a new protocol for signing in. Read more. Research Matters: are equal groups really equal? A matter of seemingly simple things that often are not simple at all: equal sample means are not sufficient to infer equal groups in a population. Read more. Question for faculty, have you met Lynda? 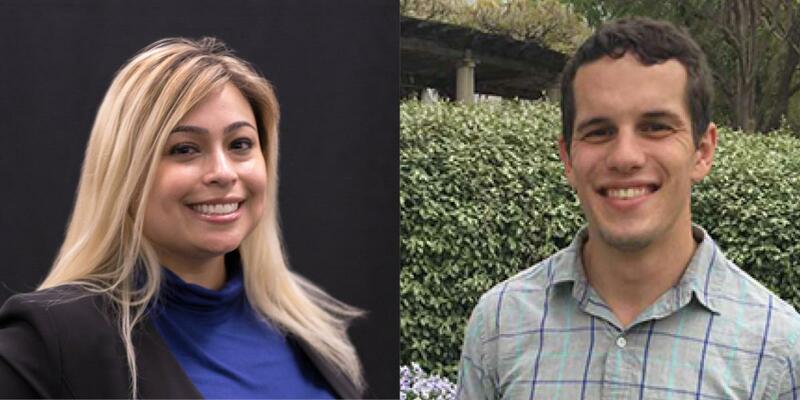 Meet Clarissa Hutkowski, UIT, and Jacob Stein, AITS! The third annual meeting of the Division of Finance and Administration began May 24, 2017, in the Murchison Performing Arts Center with coffee and camaraderie at 8 a.m. Vice President Bob Brown opened the meeting with remarks about the excellent work being done in each of the departments under his purview: Budget Office, Business Development, Facilities, Organizational Development, Police, Risk Management Services, Student Financial Services and University Information Services. Read more. Full-time employees continue to increase their Drupal content management system skills through weekly training sessions that began in April. The training series, in its pilot-testing phase, has been a campuswide collaboration of Drupal experts who have volunteered to train new users and help website coordinators move from Drupal 6 to version 7. Read more. When disasters, such as tornadoes and hurricanes strike, they often take down the information technology equipment that emergency workers desperately need to keep in contact — cellphone service. Now a professor at the University of North Texas is working to make sure those first responders can get that vital access through an airborne communication system. Read more. The University of North Texas will be adding a new 120-foot tall flagpole located in between the black lot entrance and Apogee Stadium marquee along Interstate 35. Mean Green Athletics is launching VoteMeanGreen.com for fans to vote on the flag that will fly from the pole, coinciding with Flag Day, President Neal Smatresk and Vice President and Director of Athletics Wren Baker announced Wednesday. Read more. With certified Apple© technicians, mactracks in Denton had a representative at Discovery Park recently to tell UNT students and employees about their offerings, which include Mac-managed services, data backups and consulting services. The new store is located at 3305 S. Mayhill Rd., Suite 109, Denton, TX 76208. For more information, contact Jason Eklund, jason@mactracks.com, or 940-243-3300. Brochure. Effective June 1, 2017, the use of handheld communications devices, including those for voice calls, is prohibited while operating a vehicle in the Denton city limits. Read more. "Hire for attitude and train for skills." This Tom Peters quote does not seem to apply to today's IT security world. Certifications and developmental programming skills are highly sought after in corporate cybersecurity positions and can seem intimidating to someone contemplating how to get a foot in the door. Universities, however, offer a different culture and mindset. Read more. Technological giants have announced that the launch of quantum computers is imminent. These machines are capable of performing more complicated calculations than supercomputers and could revolutionize fields like finance and drug development. Read more. Soon you can permanently rock your favorite lyrics via the new ‘Soundwave Tattoos’, created by Los Angeles-based tattoo artist Nate Siggard. Tattoos you can hear: Listen. A New Jersey woman using her cellphone was caught on surveillance tape as she fell headfirst into an open cellar door. Read more.